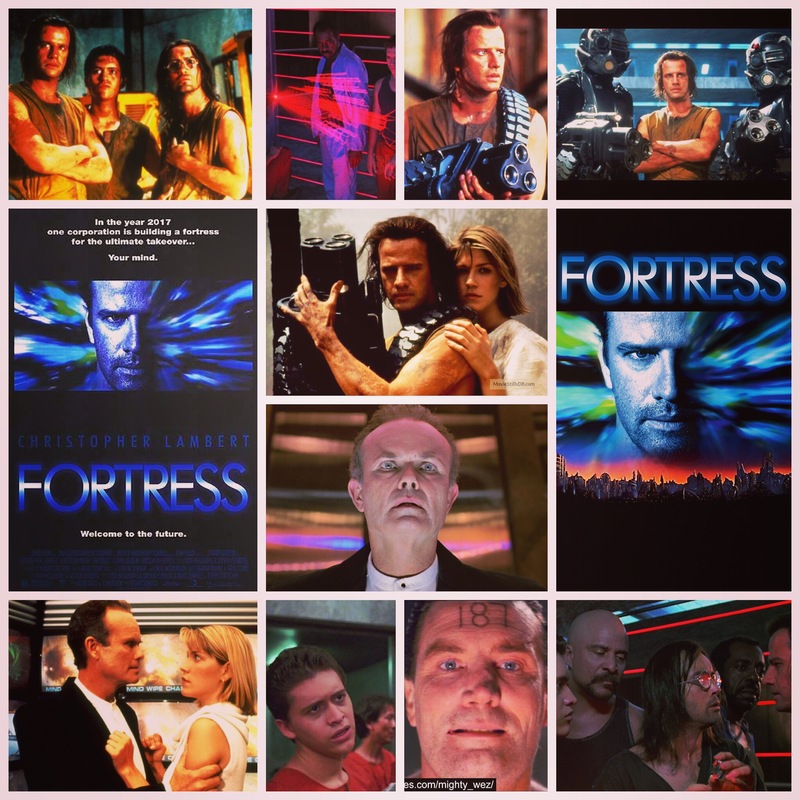 Stuart Gordon’s Fortress is one of the more overlooked dystopian sci-fi thrillers of the 90’s, and despite somewhat being a B-movie, it holds its own in pretty much every department. Quality story, terrific acting (even from the king of stilted delivery himself, Christopher Lambert) and a story with more depth than the poster or marketing might suggest. Lambert plays an unfortunate man on the run with his wife (Loryn Locklin) in an America of the future where having more than one child per mother is prohibited. They’re both nabbed trying to make a break for Mexico, locked away in a horrific prison called Fortress, a place where science has run amok and all kinds of neurological and biological experiments are performed on the inmates under the steely direction of evil Director Poe (Kurtwood Smith). Fortress is an unorthodox nightmare where basic rights are replaced by those of cattle or worse, and no one is safe from micro implants, mind alteration and all sorts of fun stuff. Lambert plans an elaborate escape with the help of various inmates including Vernon Wells, the late Tom Towles, Jeffrey Combs and Clifton Collins Jr., all putting in excellent and varied performances. The scene stealer is Kurtwood Smith though, who is usually cheeky, psychotic or sarcastic in his work. Taking on the type of role that typically goes to a Malcolm McDowell type guy, he tackles a character that is the farthest thing from sympathetic you could find and sort of turns that on its head, making him seem very much human in one galvanizing piece of acting work. You can label this type of thing second tier or low budget, write it off or not take it seriously, but the fact remains that many of these efforts are works of art in their own right, beautifully crafted adventure stories set in universes more vibrant and imaginative than our own, stories just to the left left of normal and full of schlock, machines, creature effects and smoke machines. Gordon is a master in this arena (remind me to tell you about Space Truckers one day), a creative force to rival Roger Corman and the like. Fortress is my personal favourite in his stable, and one shouldn’t underestimate its entertainment value and ability to hold up decades later. Oh and also, this suffers from an adorable condition I call Blade Runner Syndrome™, in which the far off year the film’s timeline exists in has been caught up to by our own trajectory, making the films future look like our past. This film’s specific year? 2017, as you’ll see in the poster above. That means that right now, Lambert and Smith are duking it out in that clandestine compound somewhere out there. Cool thought.